While you have installed the board libraries and compiler for the SigFox boards, you have not installed the SigFox library itself. Press Ctrl+Shift+I to open the library manager (you can also open it from the Tools menu). 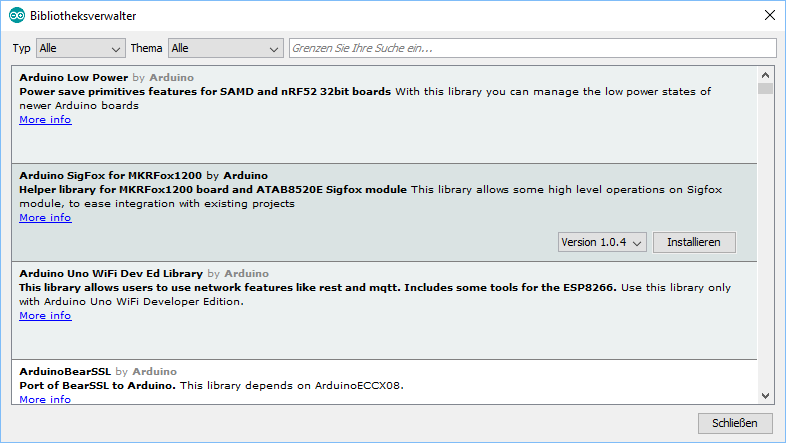 Since the SigFox sketches also require the Arduino low power libraries (i.e. you would get the error message ArduinoLowPower.h: No such file or directory), also click the Install button for the Arduino Low Power by Arduino library. After that, enter RTCZero in the search bar at the top of the library manager and click the Install button for the RTCZero by Arduino library. After that, retry uploading the sketch.